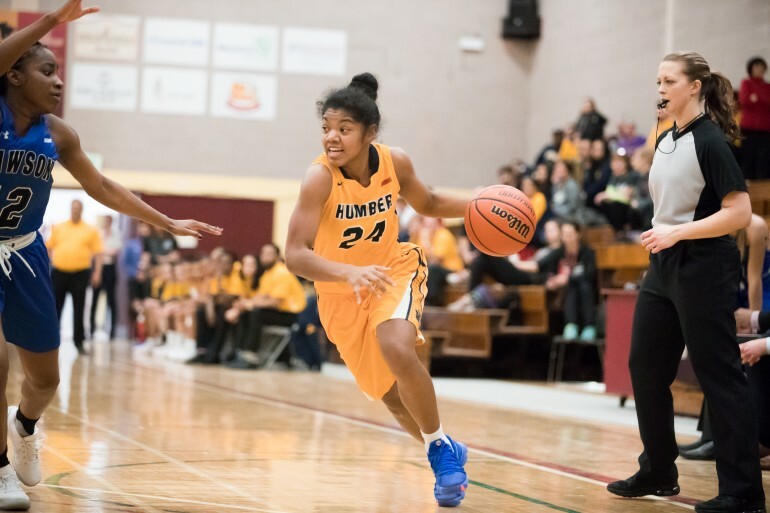 Humber women’s basketball star guard Ceejay Nofunete had quite the season. She broke records, won titles, and took, again, the national player of the year and the provincial player of the year honours. The star guard will now add playing in the Commonwealth games to her illustrious resume. Fresh off her second CCAA National Championship, and an undefeated season, Nofuente was named to the team that will represent Canada in the upcoming Commonwealth games halfway around the world. inaugural appearance at the Commonwealth Games. “It’s an honour to represent Canada on the international stage, we’ve got a good group of girls and I am looking forward to doing damage with them in this tournament,” Nofuente said. The team will be opening the eight-team tournament on April 6 against England at 4:30 a.m. Eastern Standard time. The women’s team will compete in Pool A, which features 2006 Commonwealth Women’s Basketball Champions Australia, as well as the England and Mozambique. Nofuente will be the only OCAA athlete on the 12-player Canadian roster. “They saw what I can bring to the table and I am on the team,” Nofuente said. Coming off a season where Nofuente averaged 22 points per game, 7.8 rebounds per game and 6.4 assists per game in the OCAA, she will look to play a key role for Canada in the games. travelling to Taipei, Taiwan, as a member of the Development Women’s National Team that competed at the 2017 FISU Games where Canada finished seventh. Nofuente also competed with Team Canada in the U24, Four Nations tournament in Tokyo where she played in all three games averaging 20.5 minutes per game and 10.3 points per game. While she was at the FISU Games she averaged 22.4 minutes per game, and 7.7 points per game. The Hawks will surely miss her next season, but she acknowledges that Humber will always be her home.